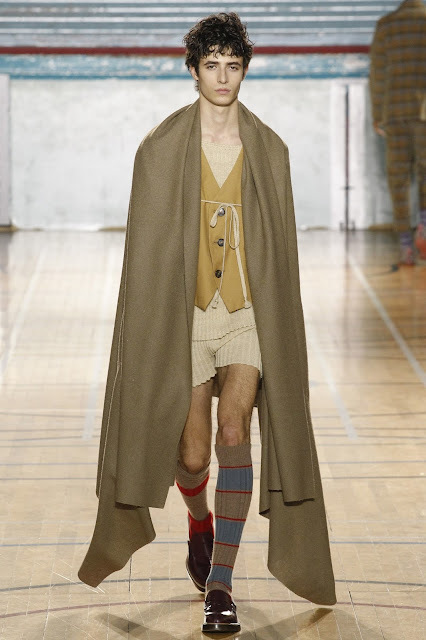 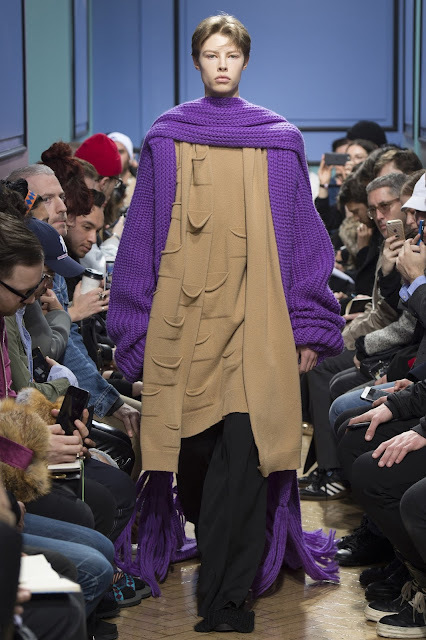 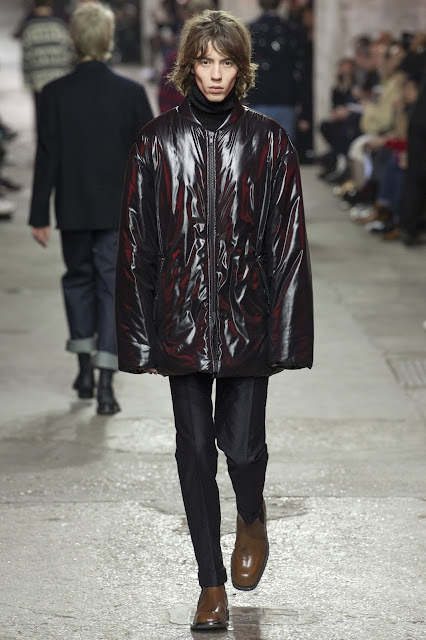 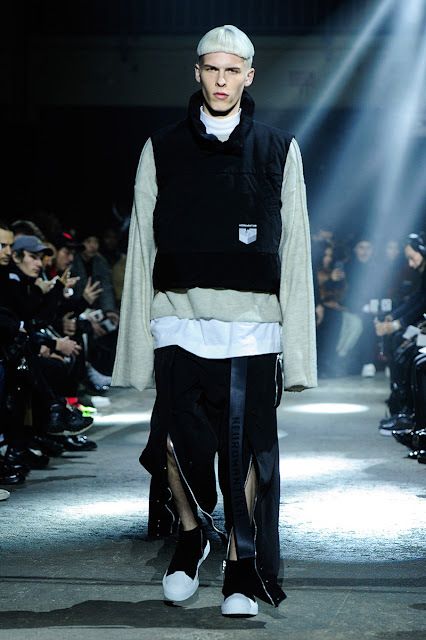 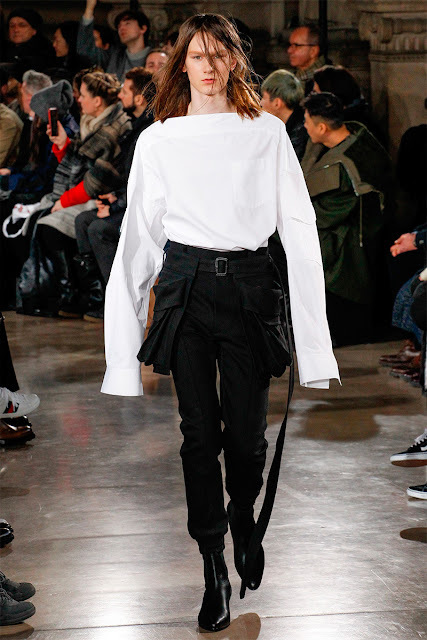 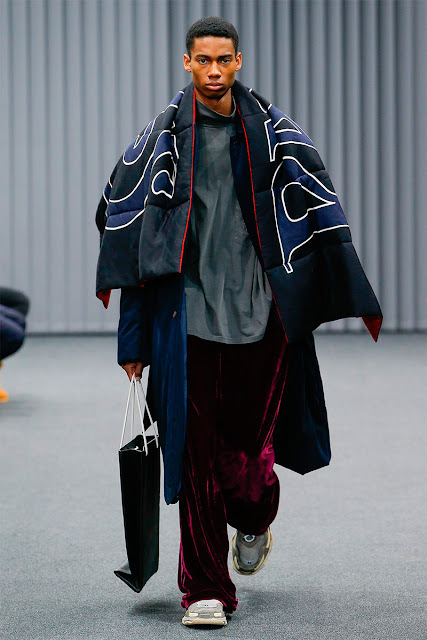 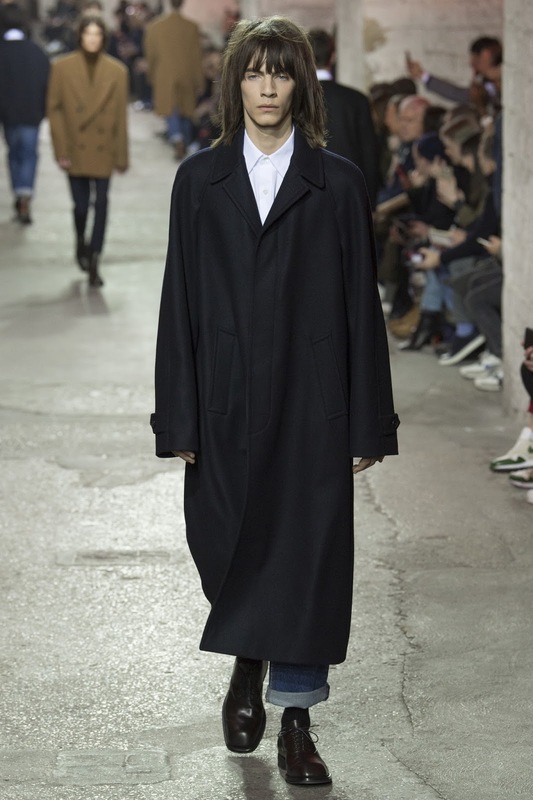 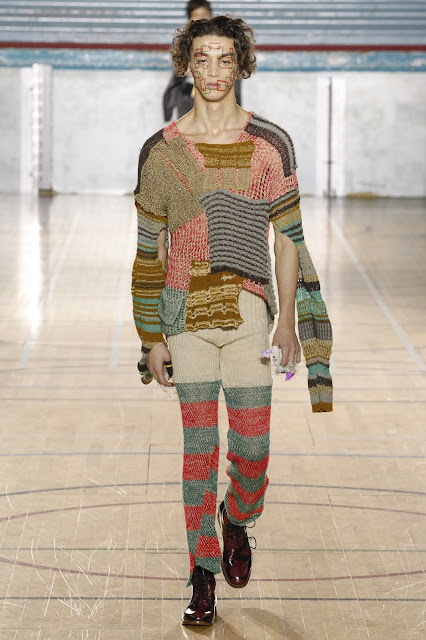 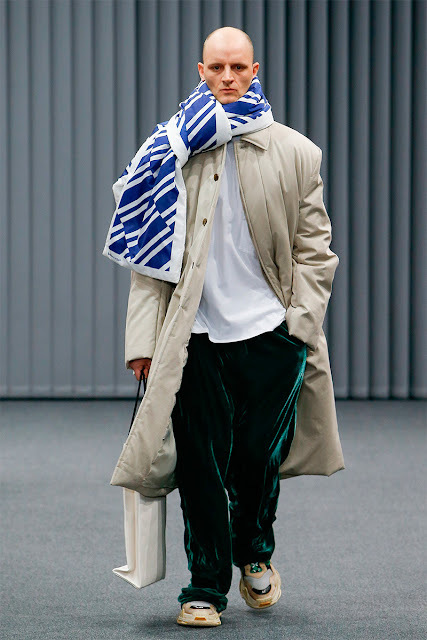 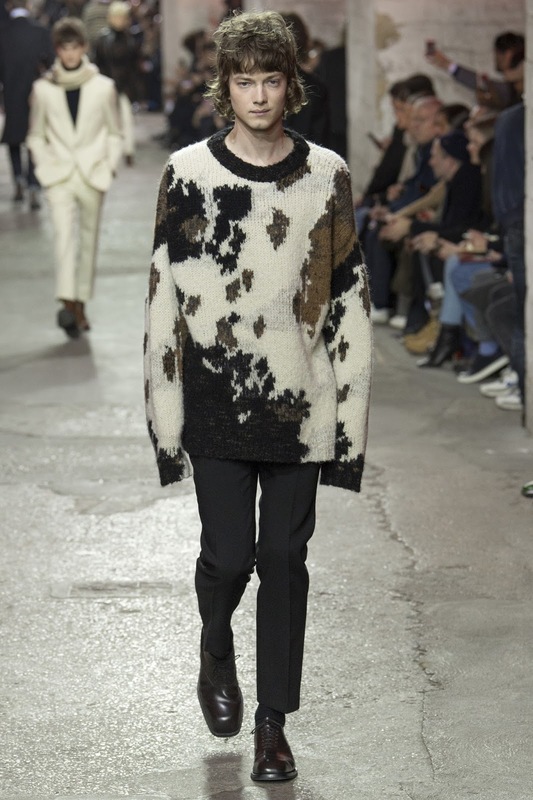 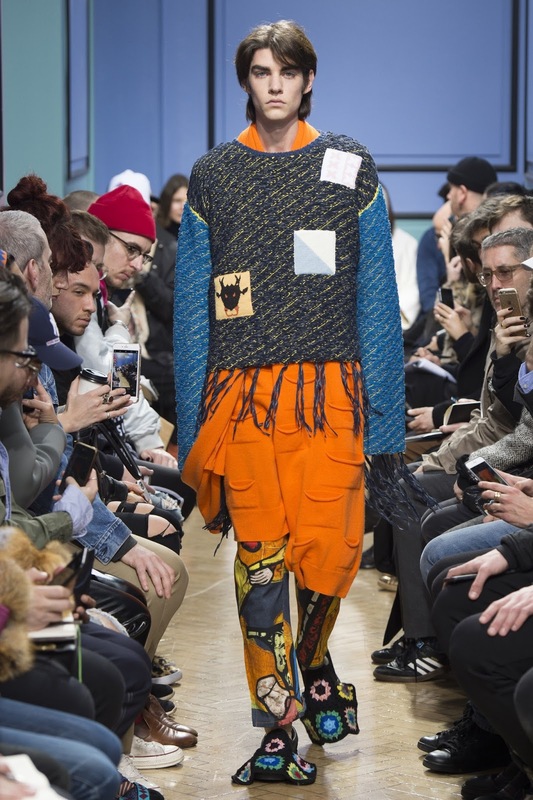 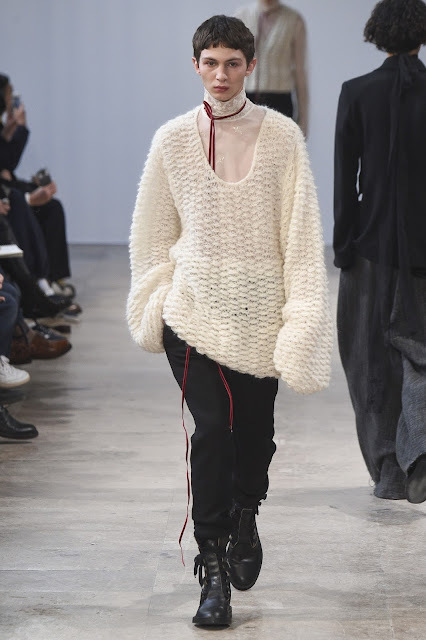 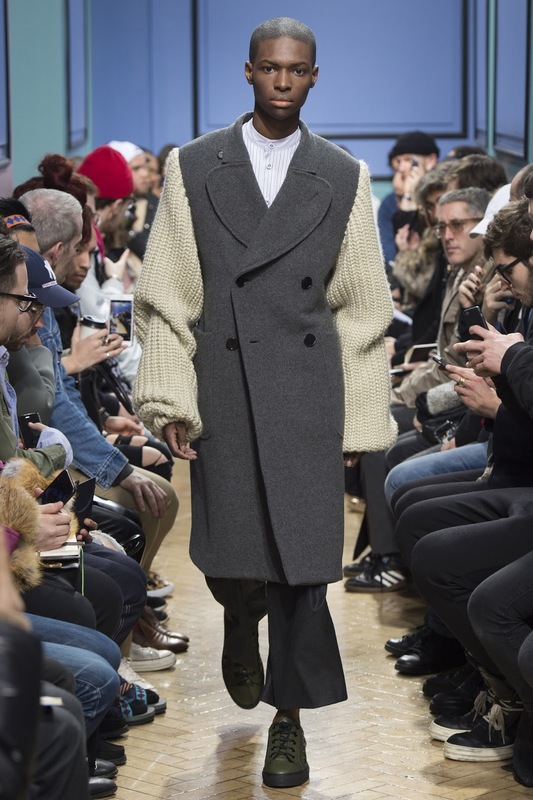 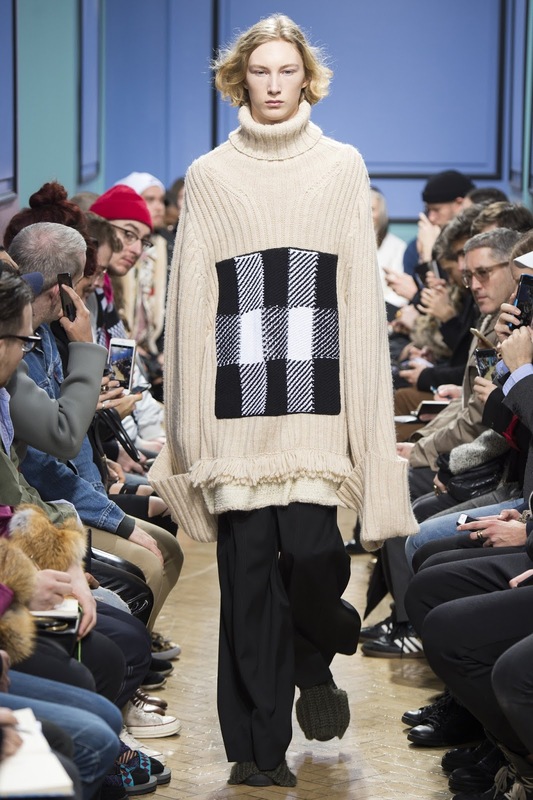 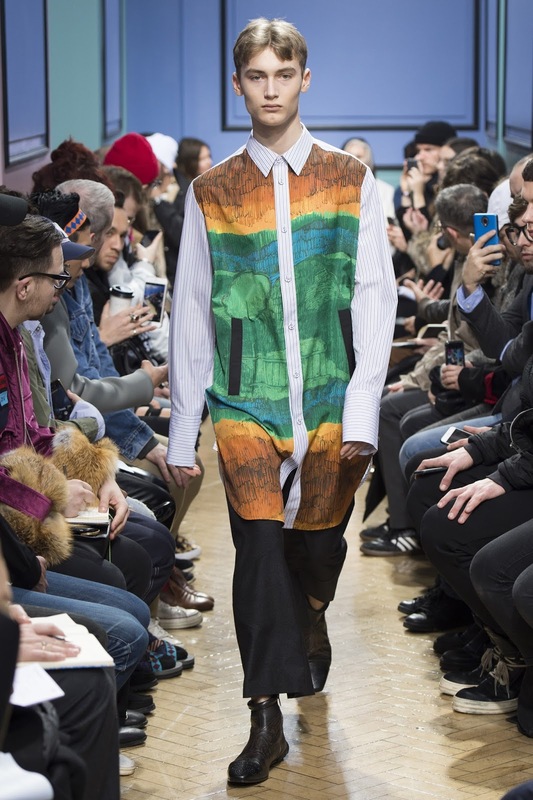 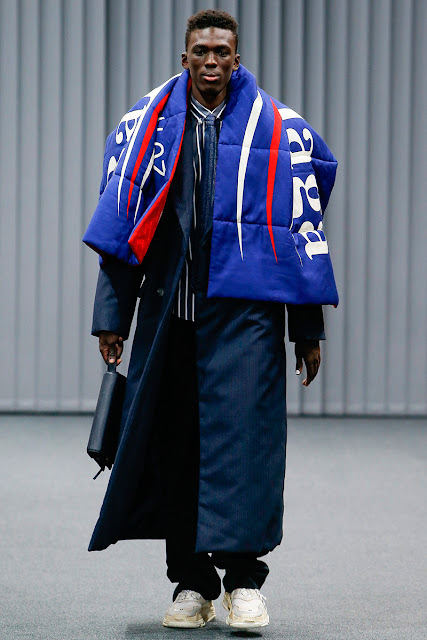 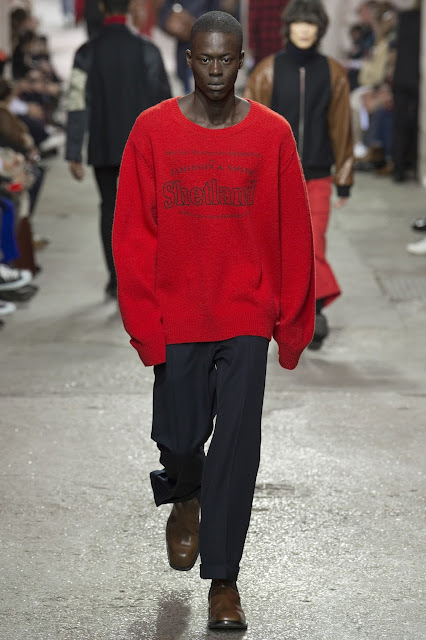 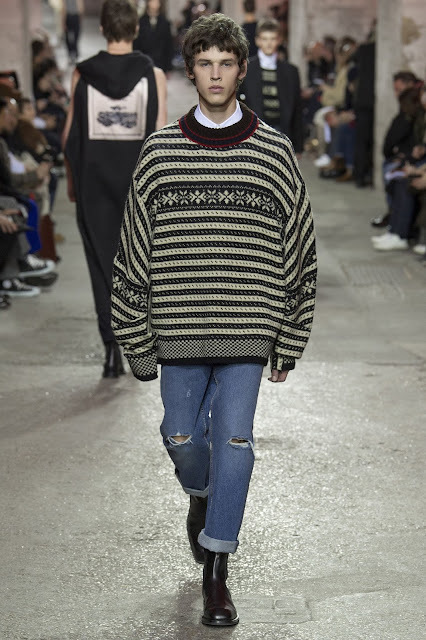 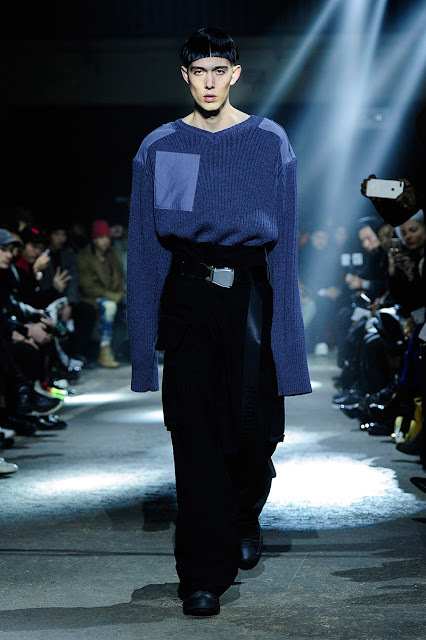 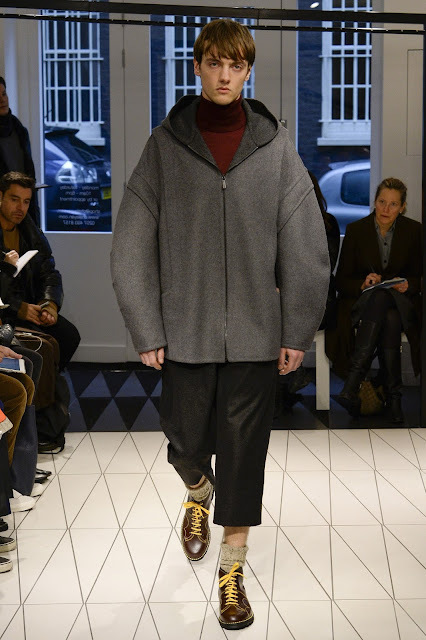 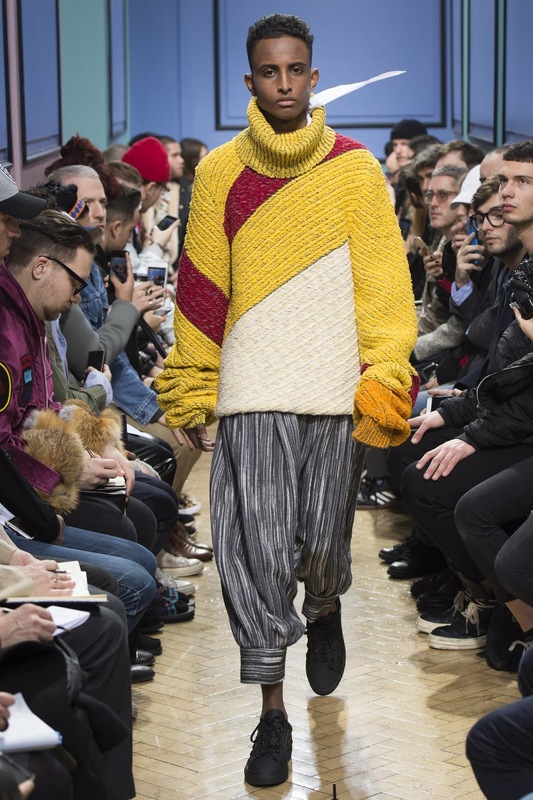 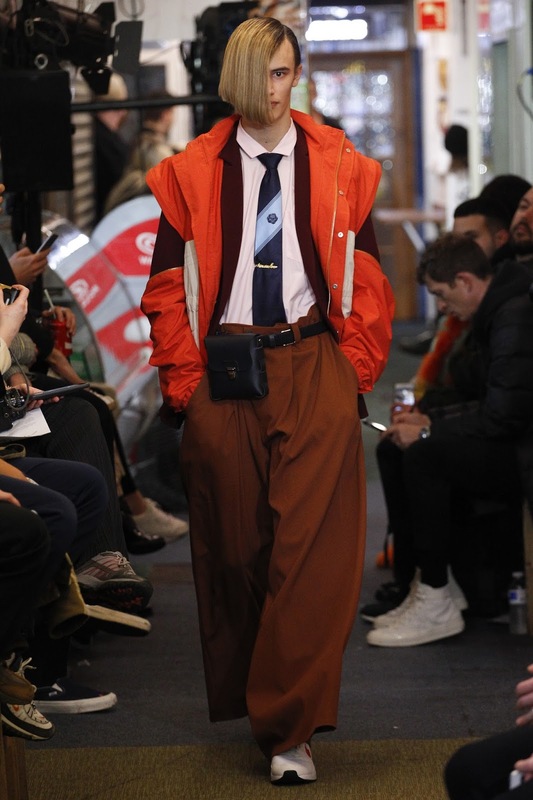 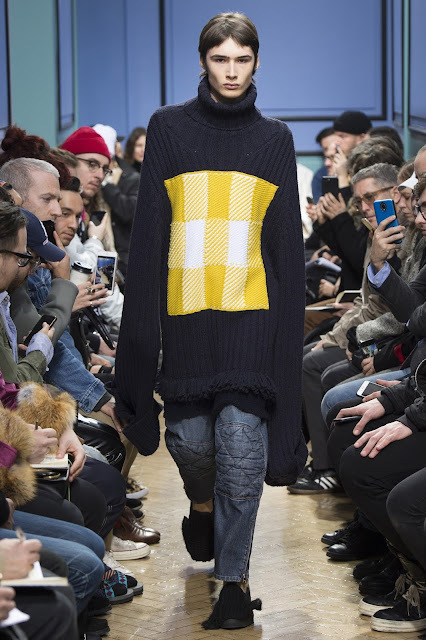 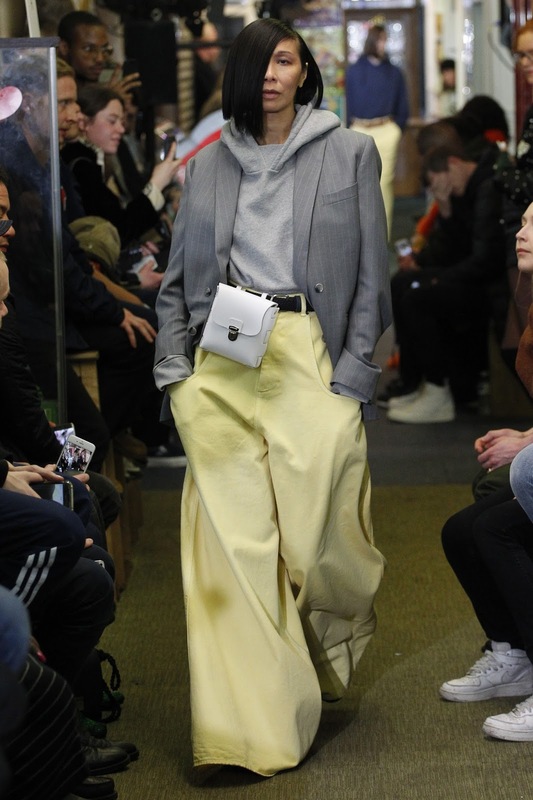 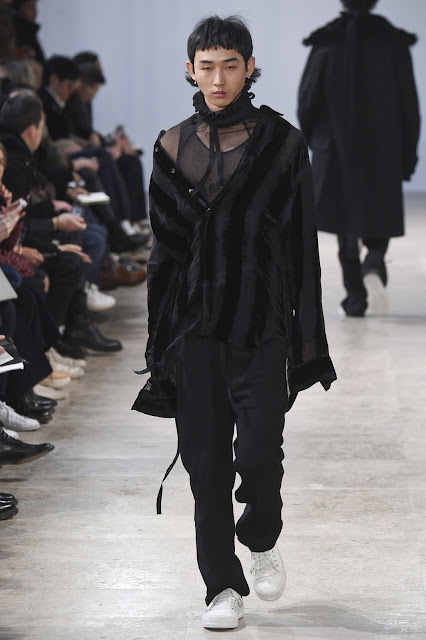 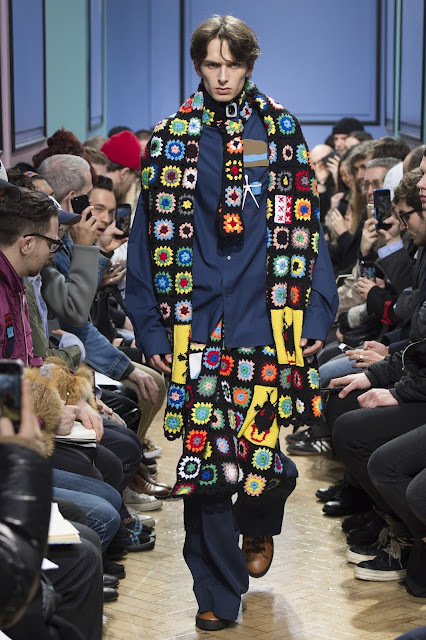 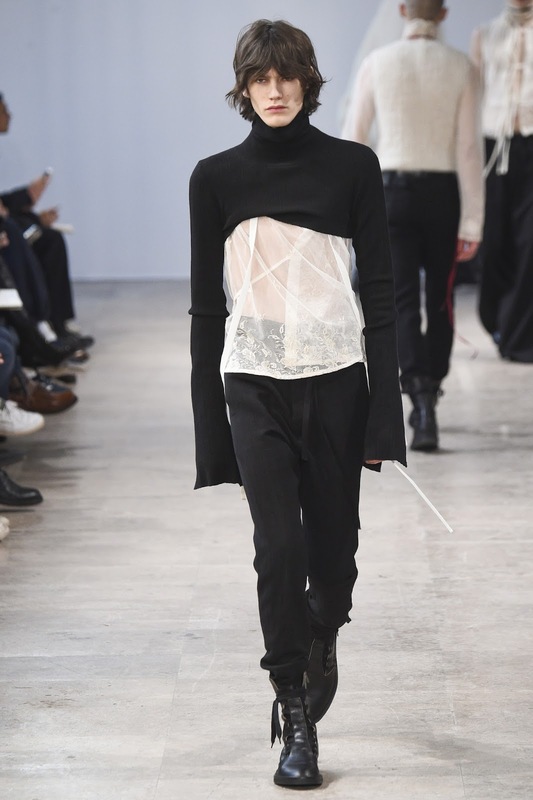 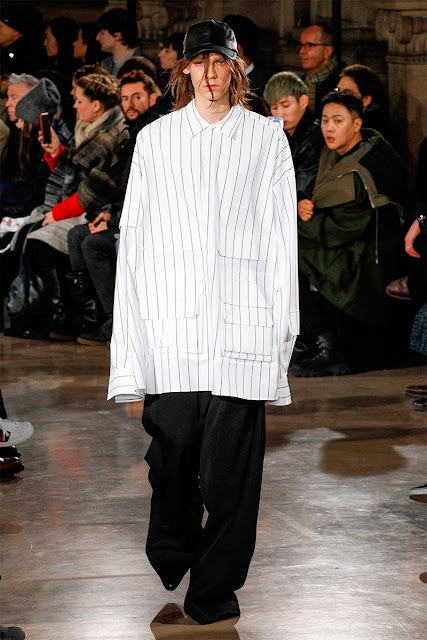 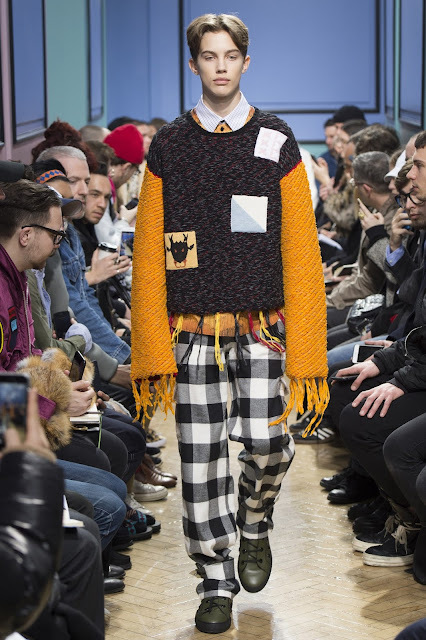 The menswear shows for fall 2017 have been presented it can be concluded that the democratisation of fashion is an ongoing with streetwear dominating in almost all proposals. 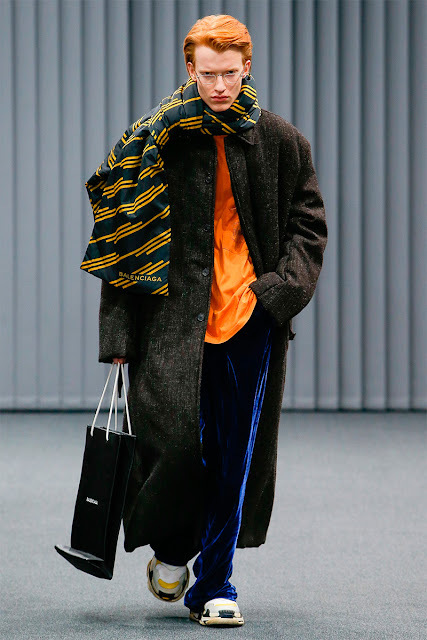 The easygoing street vibe is expressed in oversized silhouettes with baggy trousers, long scarfs, knitted sweaters, long sleeves etc. 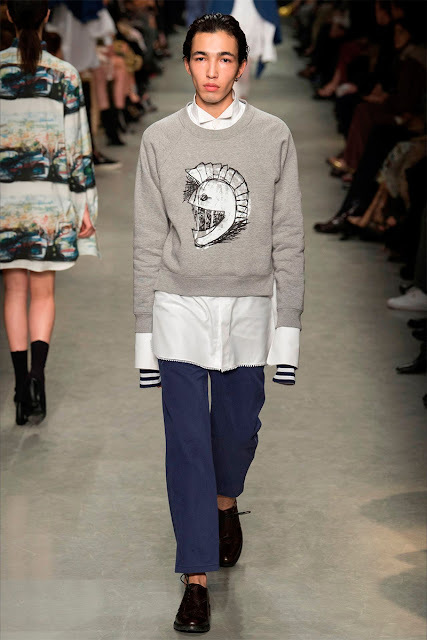 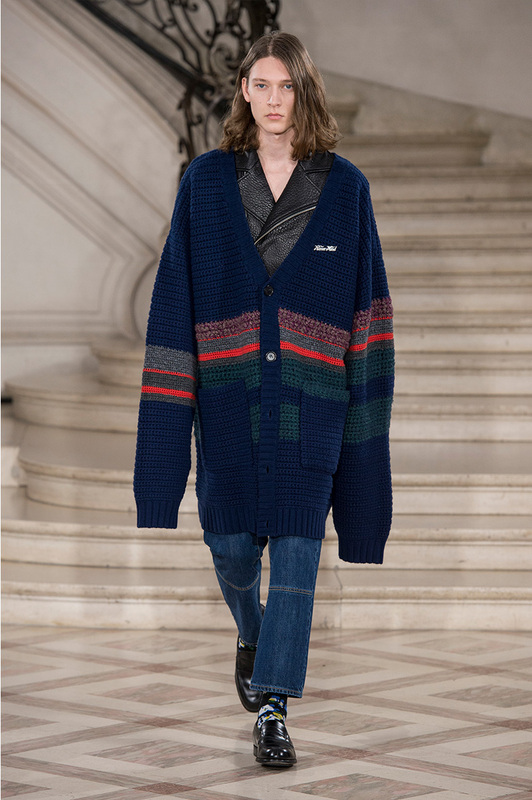 Sweaters are the new blazers. 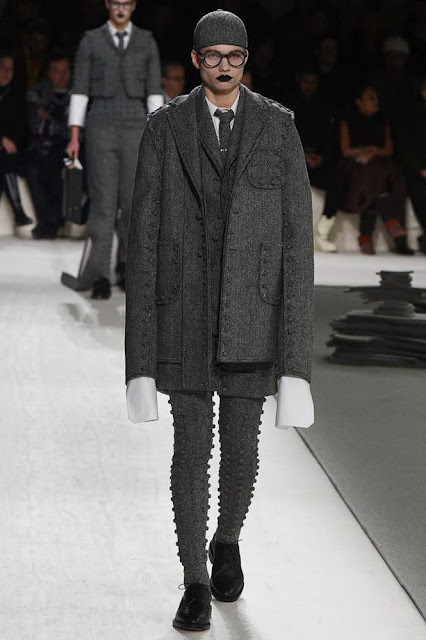 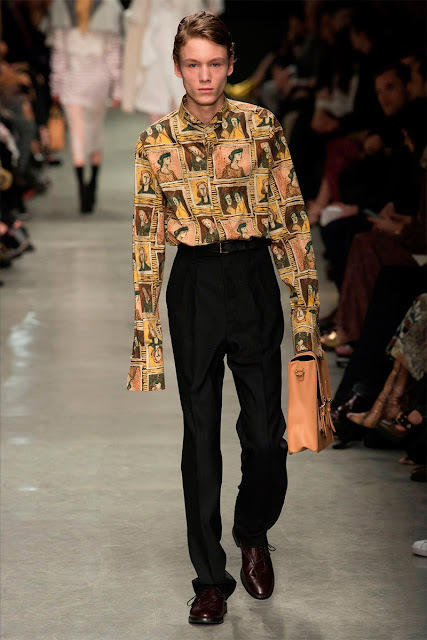 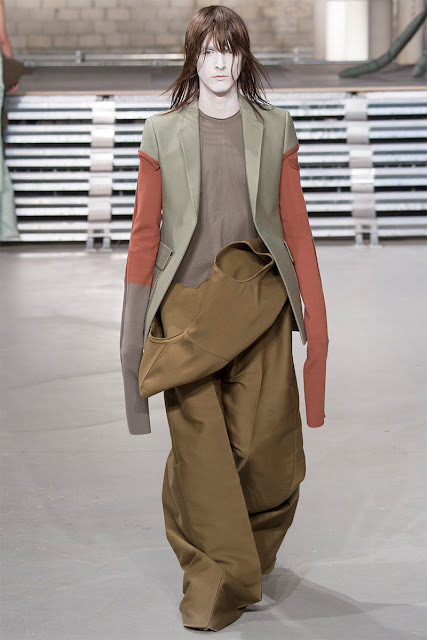 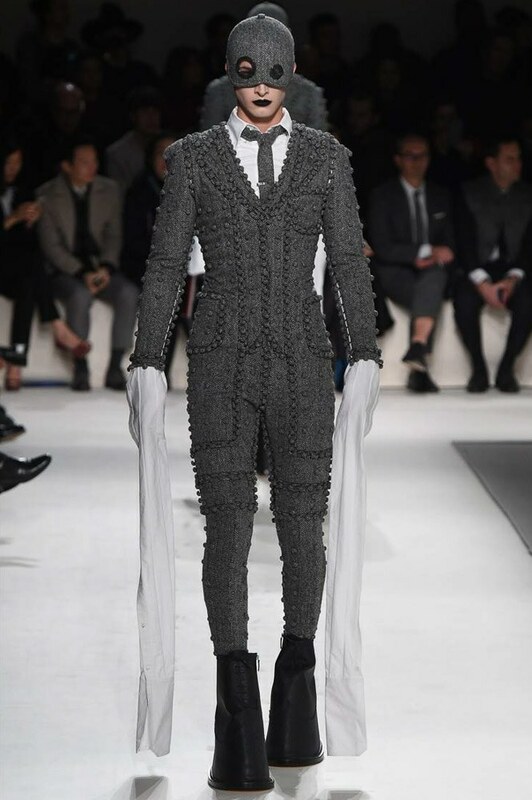 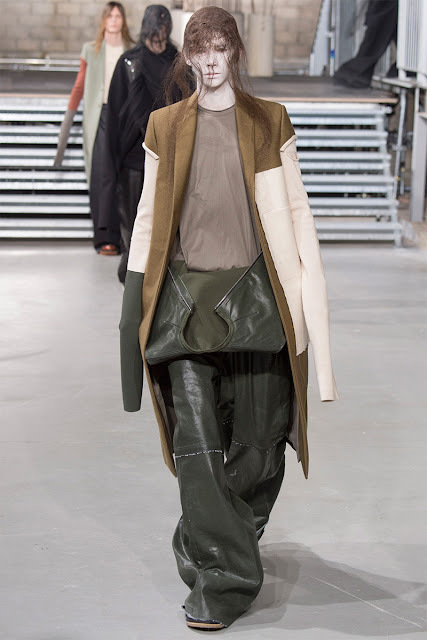 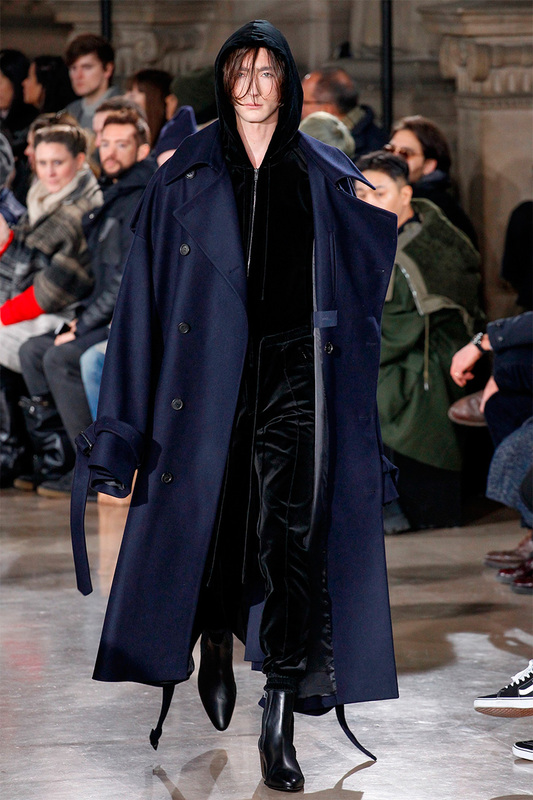 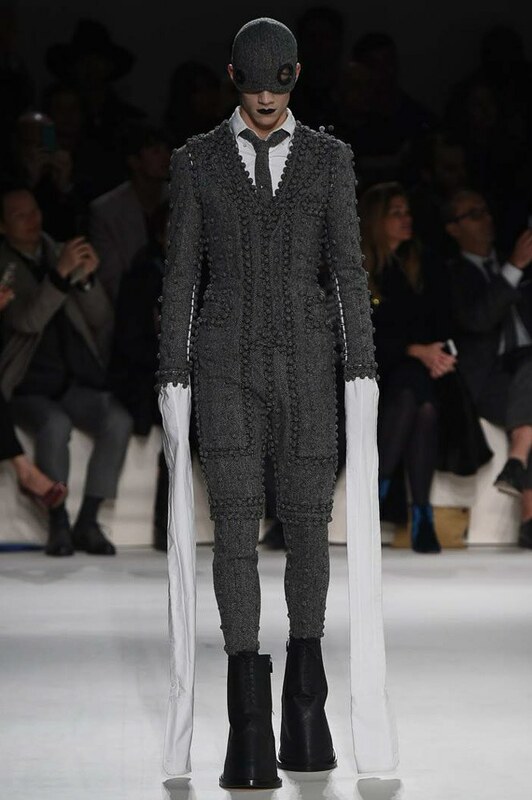 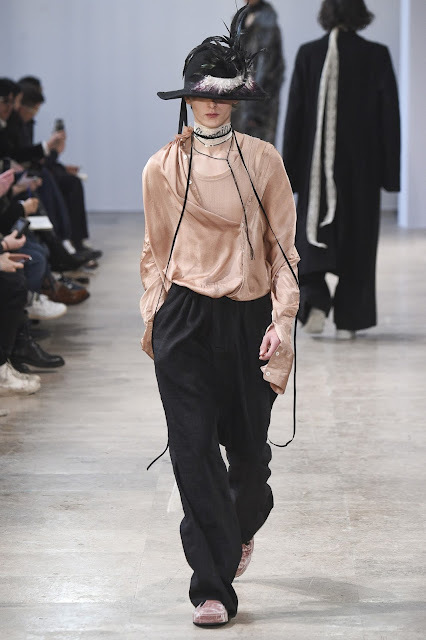 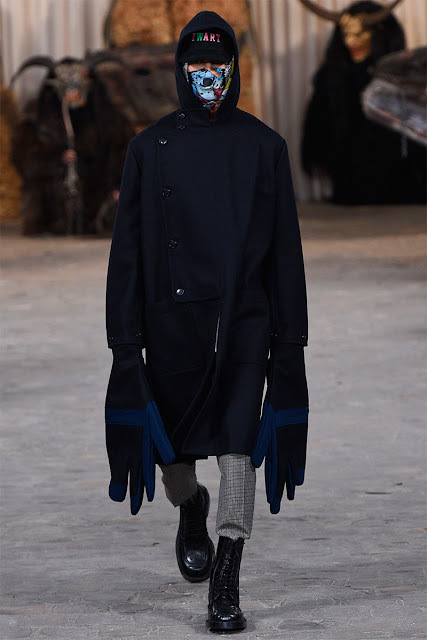 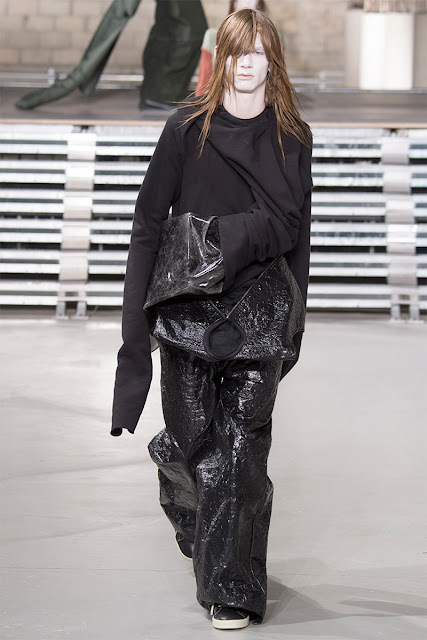 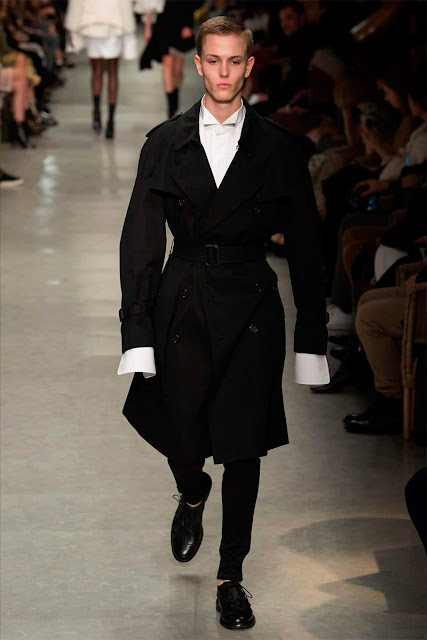 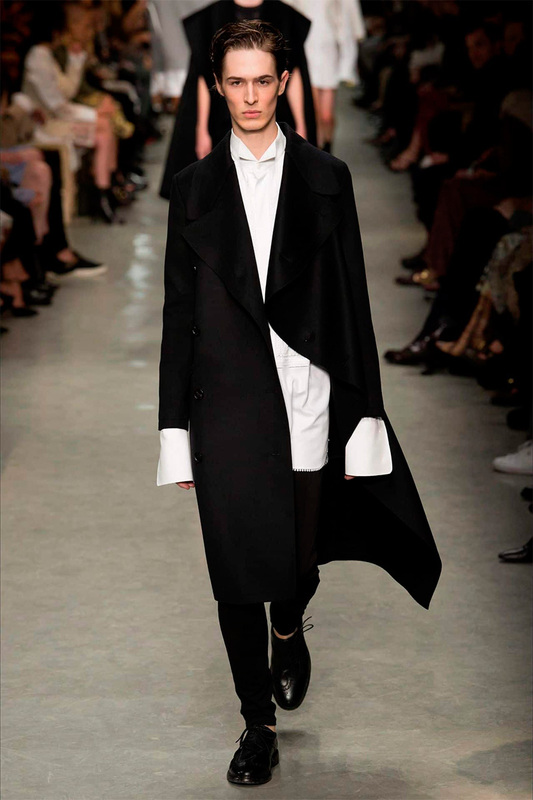 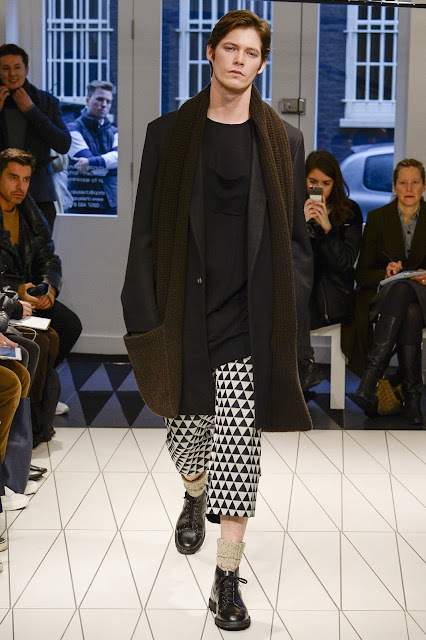 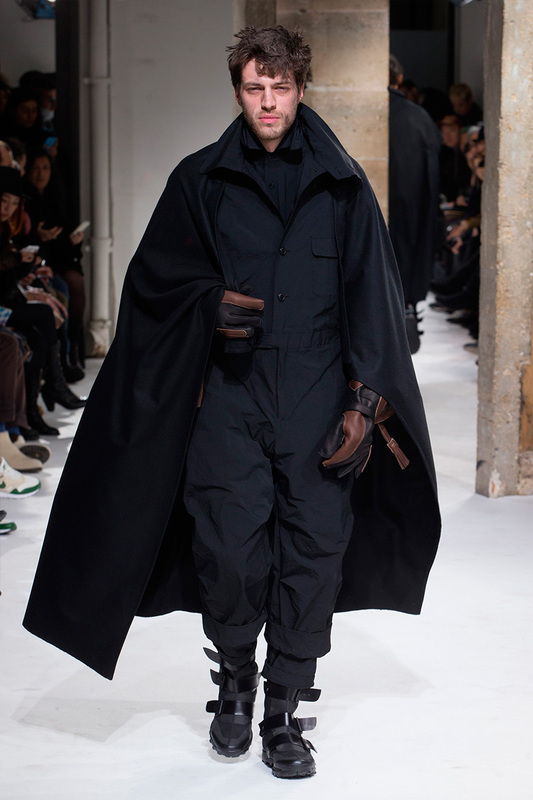 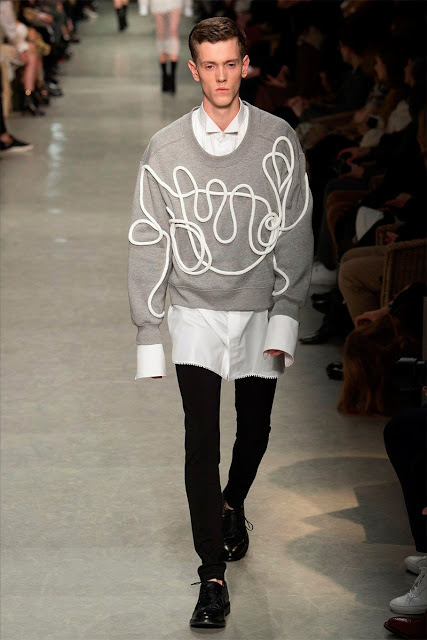 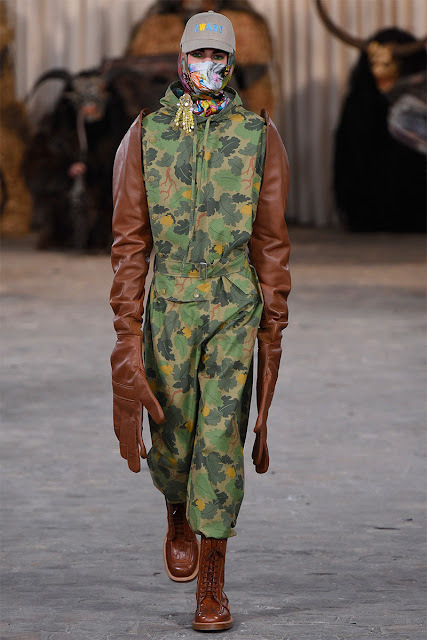 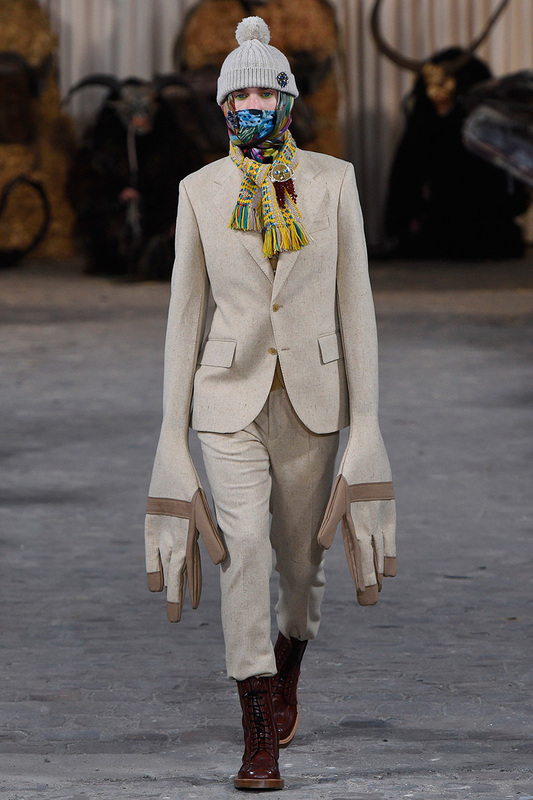 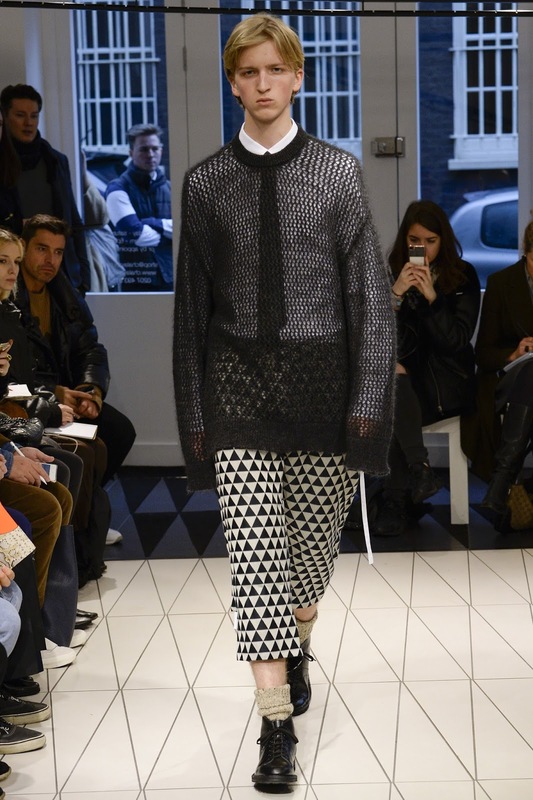 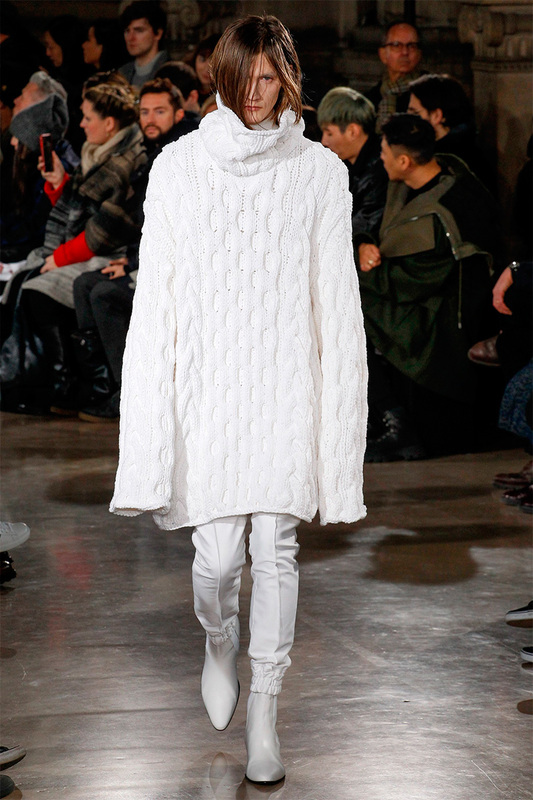 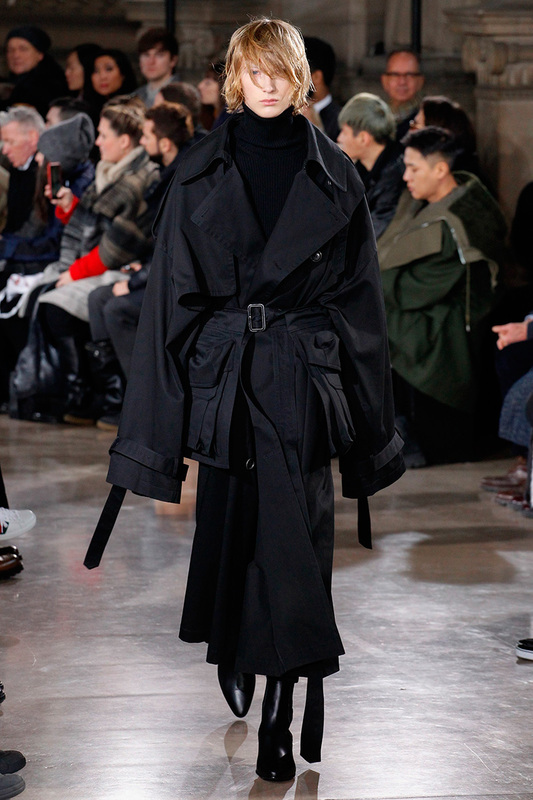 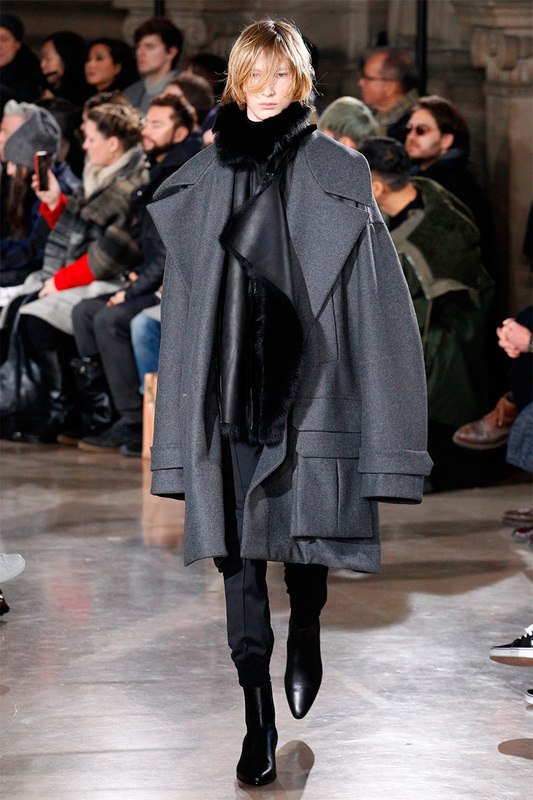 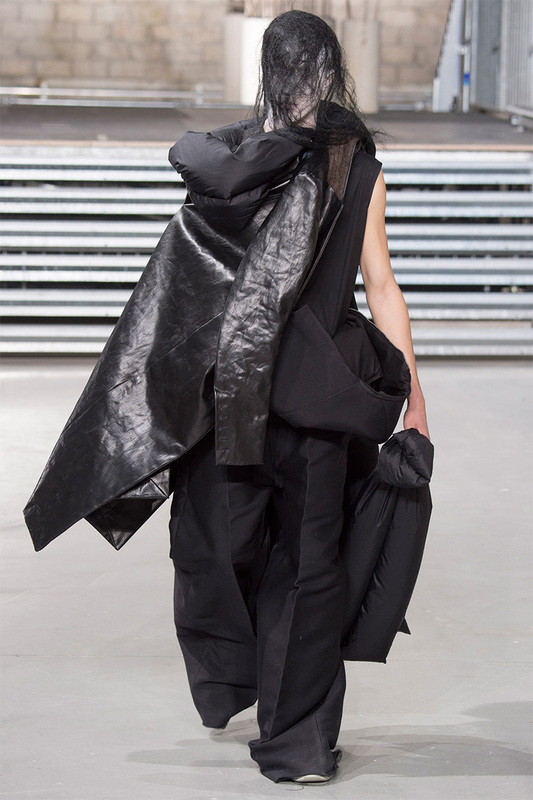 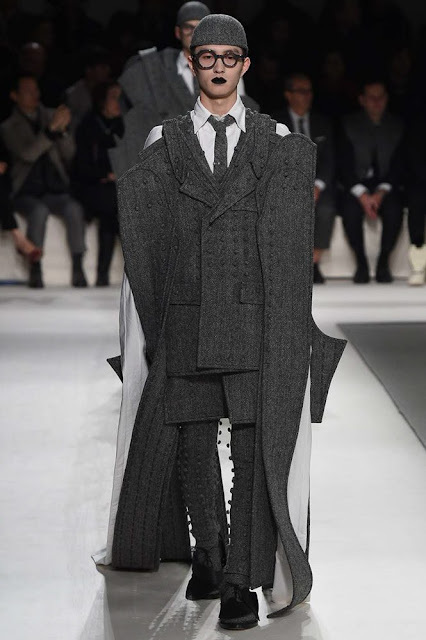 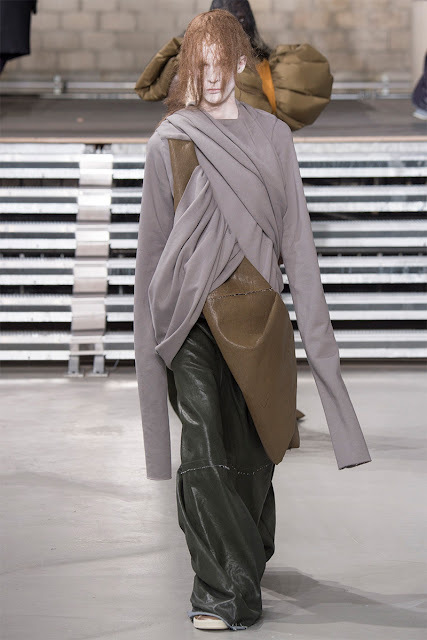 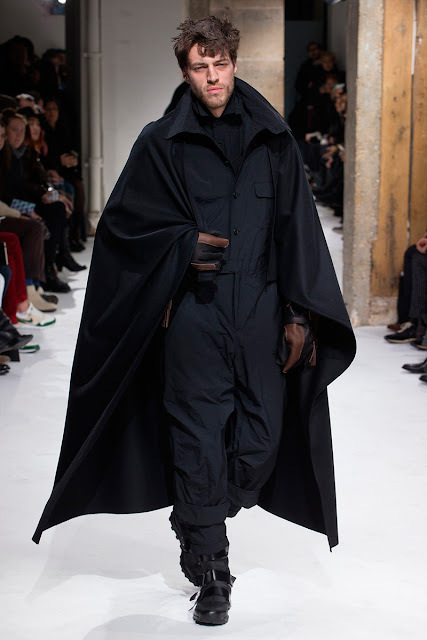 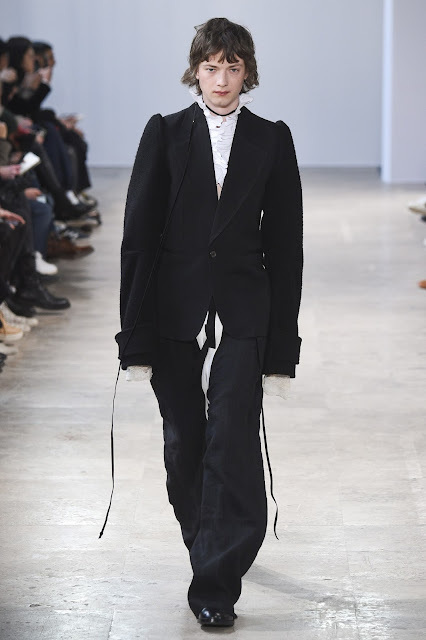 In particular striking to notice the extreme tailoring that contains extra large sleeves, hiding the hands completely. 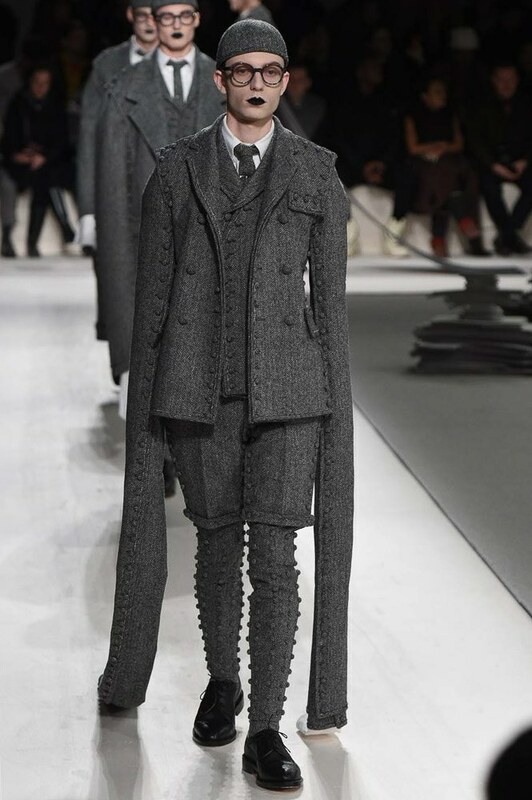 The silhoutte is so relaxed that it looks like like the body is just carrying the garments like it fall on the body by accident. 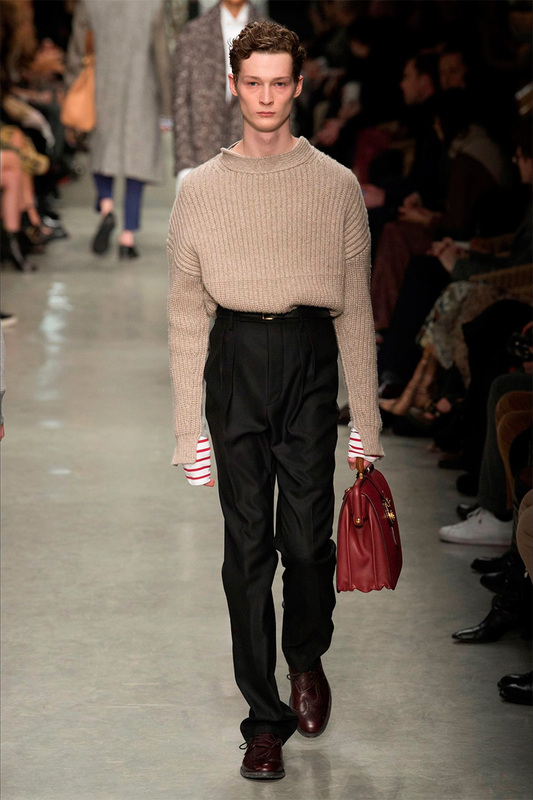 The skinny fit seems to have departed for good. 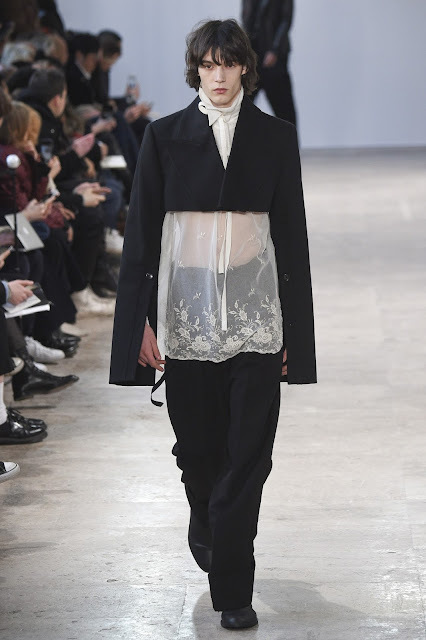 Here is a selection from shows from London and Paris.